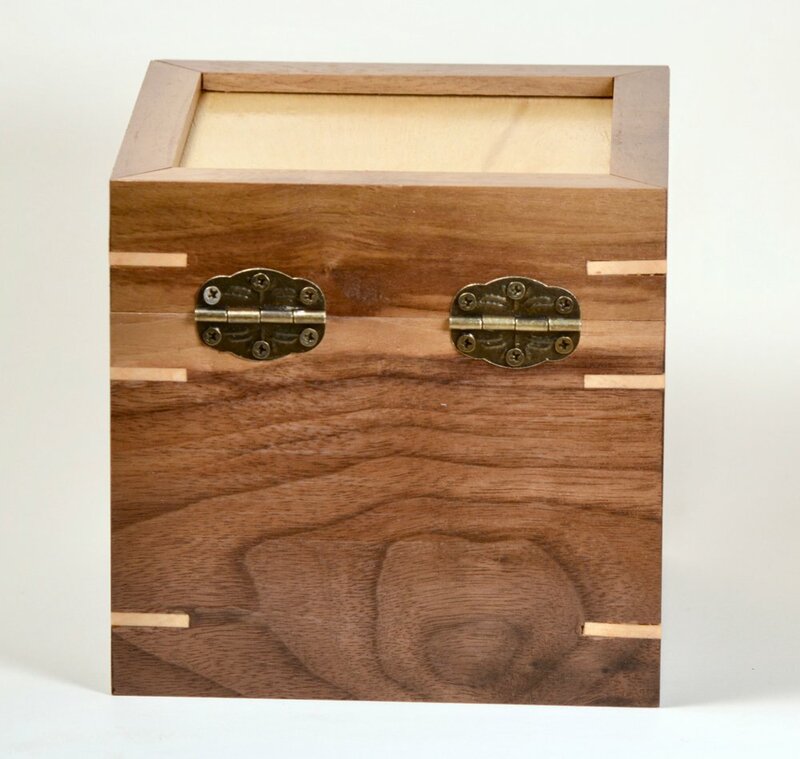 Made from gorgeous walnut, and accented with maple miter keys, this box is just the right size for holding your precious treasures, a small gift, or can be used just as functional decor. 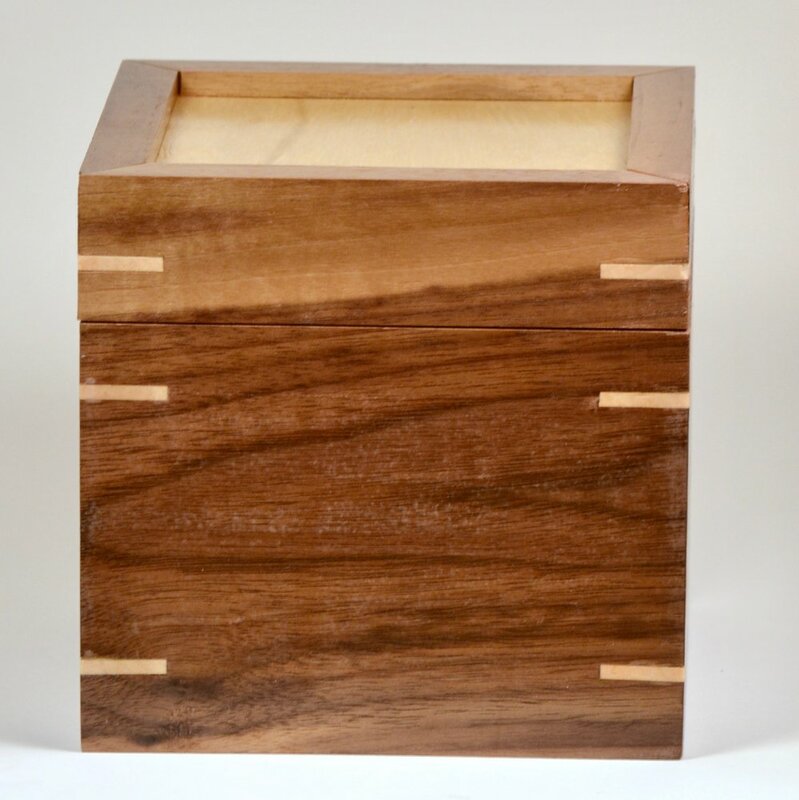 The grain of the walnut is continuous around three corners of the box. Every piece of wood is unique, so the grain patterns and color of similar boxes may be slightly different. This specific box has a nice streak of lighter color wood around the lid. I try to find visually interesting pieces of wood, but no two boxes will ever be identical. Please allow 10-14 days for custom orders and 2-4 days for shipping (most places).